Good ole celeriac, aka celery root. It’s the ugly duckling of the vegetable world. Its weird looking exterior makes people pass right by it in the grocery store. A lot of people have no clue how to prepare a celery root. Luckily, a few years ago I decided to try celery root for the first time and I was so glad I did. Lately, I’ve been on a journey to get rid of SIBO (Small Intestinal Bacterial Overgrowth). While working with a Naturopath Doctor I been using herbs along with a SCD (Specific Carbohydrate Diet) + Low FODMAP diet to help get rid of SIBO and keep it away. Usually my go to mash potato substitute is cauliflower. Unfortunately cauliflower is a high FODMAP vegetable and usually causes me a lot of bloating. 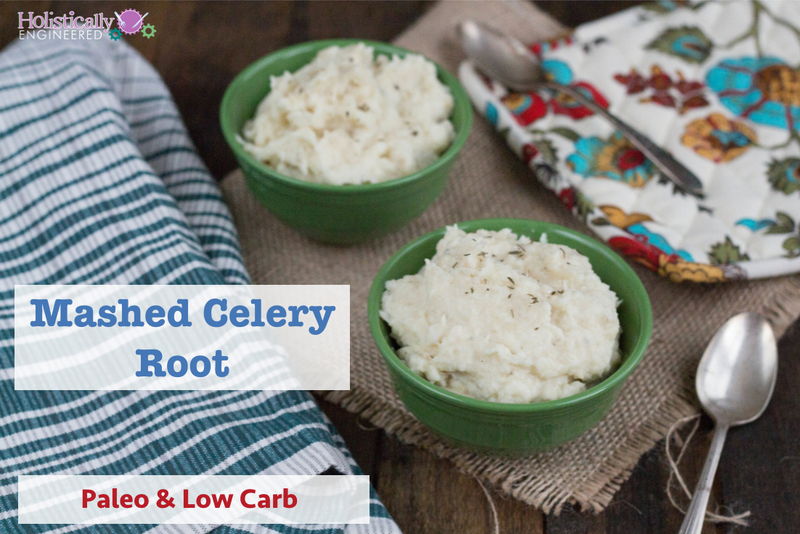 Now I turn to mashed celery root as my go to mash potato substitute. It’s both low carb and low FODMAP which is a great combo for me as I’m healing. 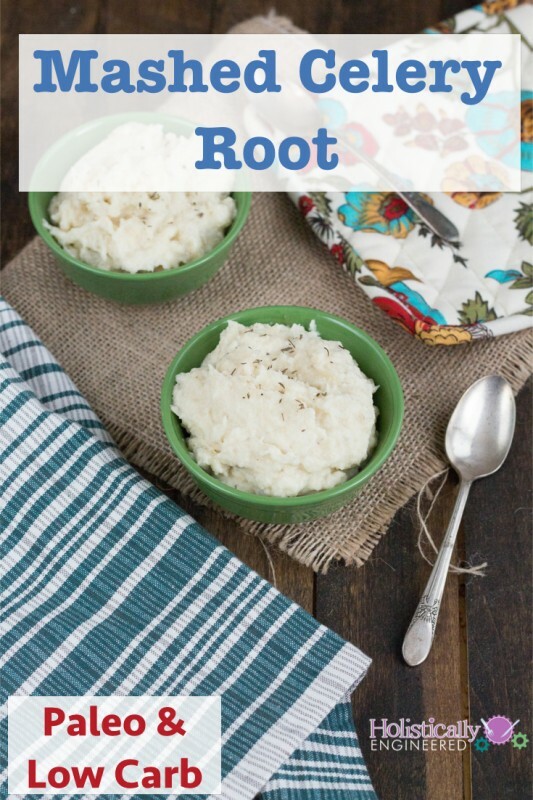 So how do you prepare a celery root? I made this video to show exactly how I handle a celery root in preparation for making a mash. Peel and cut the celery root into 1" pieces. Salt the water and then add the celery root pieces. Allow the celery root to cook for about 10-15 minutes or until the celery root is fork tender. Strain the water from the celery root. Add the coconut oil/butter/ghee, salt, and black pepper and mash the celery root with an immersion blender until smooth. Taste and adjust the seasonings as necessary. Serve as a side dish.